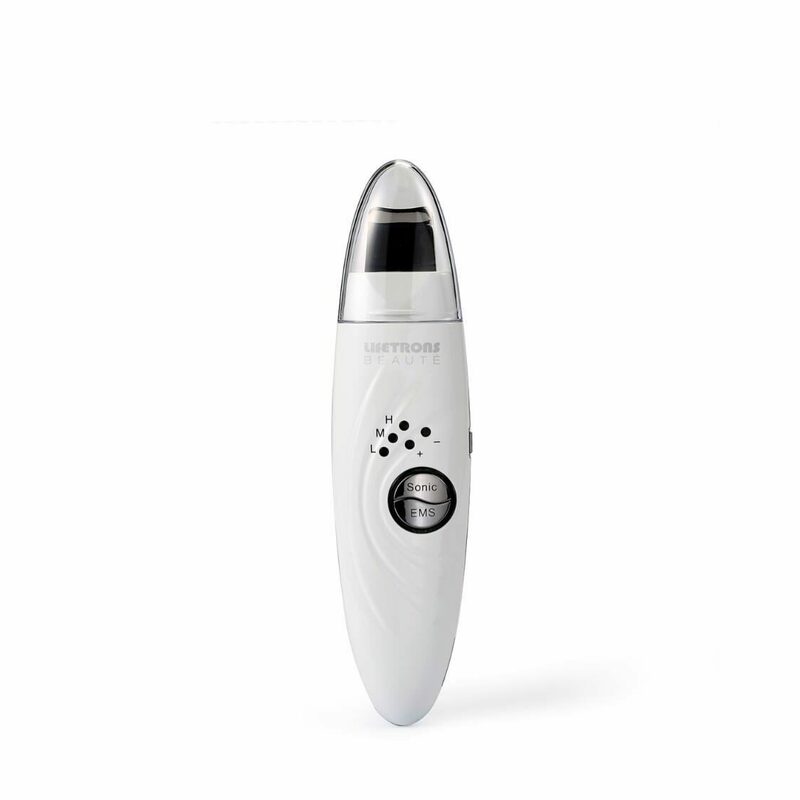 Combines ultrasonic ions (positive and negative) with EMS technology for more radiant, firmer skin. 3 levels of positive and negative ion treatment depending on your skin's needs. Ultrasonic technology combined with positive ions may thoroughly clean the pores of dirt and debris. Ultrasonic technology combines with negative ions may help deliver nutrients from face cream or serum deep into skin's layers. Gentle EMS currents use a unique secondary movement which may help tighten facial muscles, firm skin and improve elasticity.